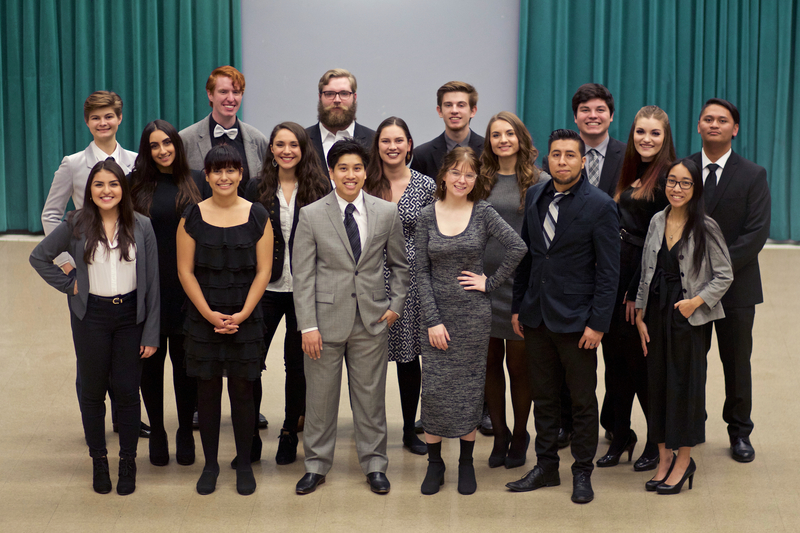 It takes a lot these days for Sacramento State’s vocal jazz ensembles to break new ground when it comes to accomplishments and accolades. And though a few figurative mountains remain to be summited, that list shrinks over the ensuing months, beginning this week. The ensembles were to perform at 6 p.m. Friday, Jan. 11, at the Jazz Education Network (JEN) Conference in Reno – the first milestone in a big spring semester for those groups. The ensembles also earned first-time invitations to perform at the California All-State Music Education Conference (CASMEC) on Thursday, Feb. 14, in Fresno; the American Choral Directors Association (ACDA) national conference on Friday, March 1, in Kansas City, Mo. ; and the California Choral Directors Association (CCDA) state conference on Friday, March 15, in San Jose. Gaw Vang-Williams, the ensembles’ fifth-year director, couldn’t be happier. The School of Music applies every year to the four conferences, hoping to get into one or two. Vang-Williams says ACDA requested 3,000 copies of the performance program for the ensembles’ two March 1 performances. The worldwide conference is by invitation only, based on a submitted recording and the program’s credentials. Sac State’s 17 singers, accompanied by a three-piece rhythm section, will play 25-minute sets at ACDA and CCDA conferences, which translates to four or five songs. The invitations are something of a culmination of decades of program building. Vang-Williams cites the work of her vocal jazz director predecessors, Julie Adams and Kerry Marsh, as having laid the foundation for this year’s breakthrough. And, of course, the students. “All the students that have been participating in vocal jazz at Sac State helped build it up,” she said. “(It’s) huge for the School of Music and for the campus, putting us on the map for music.